International Agreements | Fight Slavery Now! “Human trafficking is the acquisition of people by improper means such as force, fraud or deception, with the aim of exploiting them. 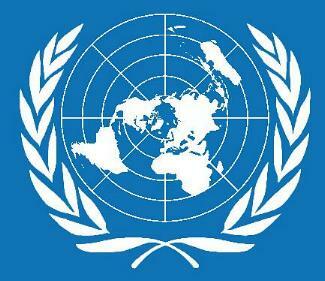 Then, in 1949, the United Nations General Assembly set out to establish a legal framework to stop the traffic. Known formally as the Convention for the Suppression of the Traffic in Persons and of the Exploitation of the Prostitution of Others, it declared that the enslavement of women and children for the purposes of sexual exploitation was incompatible with fundamental human rights. It called on governments to adopt procedures for punishing any person who sexually exploits another individual or who runs a commercial enterprise that profits from such activity. Unfortunately, the convention was ratified by fewer than half of the member states of the United Nations (72 out of a total of 185). Today, nearly half a century later, its translation into policy yields widely divergent legal strategies. The Protocol to Prevent, Suppress and Punish Trafficking in Persons, especially Women and Children, was adopted by General Assembly in 2003. It is the first global legally binding instrument with an agreed definition on trafficking in persons. The intention behind this definition is to facilitate convergence in national approaches with regard to the establishment of domestic criminal offences that would support efficient international cooperation in investigating and prosecuting trafficking in persons cases. An additional objective of the Protocol is to protect and assist the victims of trafficking in persons with full respect for their human rights. The Purpose (Why it is done): For the purpose of exploitation, which includes exploiting the prostitution of others, sexual exploitation, forced labour, slavery or similar practices and the removal of organs. To see how human trafficking differs from migrant smuggling, click here.